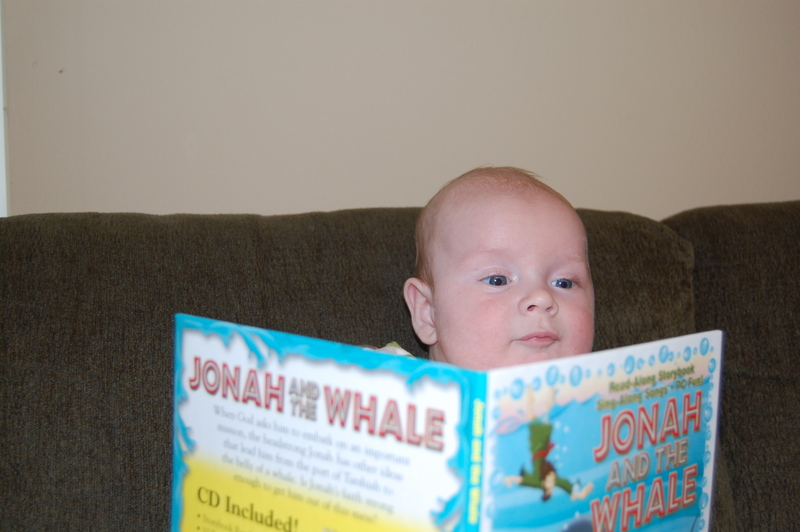 Our son Jonah “reading” Jonah and the whale at 3 months. That question has typically been answered in a very linear fashion. Line up these give points a draw a line from lost to saved. Bingo…you’re in! But what if there is more to salvation than that? What if God had something very different in mind when he talked about people entering the kingdom than boiling down the Gospel to a five step plan? What if I told you Jesus said that there was something that if you didn’t do, you could never experience eternal life with God in the kingdom that wasn’t on the five step list? That would be a big deal, wouldn’t it? Jesus didn’t tell us to be childish in the way we treat each other. There is enough of that to go around. Jesus told us to become like the children to enter the kingdom of heaven. What does it mean to change and become like little children to enter the kingdom of heaven? First, change implies that we aren’t there to begin with. That means this isn’t going to come naturally to us and yet it can be done. It isn’t a single, solitary, isolated step. This is going to be a process. We are going to have to purposefully make some changes in order to make this happen. Second, Jesus clarifies what he means in the next sentence when he says he is talking about taking on a lowly position. If we think we are great, we aren’t there. If we think we have made it, we aren’t there. If we treat people with disrespect, we aren’t there. If we beat people up emotionally, spiritually or even physically…we aren’t there either. If we love unconditionally, we are making the change. If we live life with an innocence that doesn’t know how to fight dirty or be out for blood on the theological threshing floor, we are getting closer. If we don’t expect to get picked for the team, we might be closer than we think. Changing to be like a child doesn’t come naturally to us as adults. It only comes naturally to us as children. Then we learn to protect ouselves, our interests, our property, and our ego and our innocence is lost. Once we learn to exert our will on others, our childlike demeanor begins to fade. All is not lost, we can go back. It won’t be easy and it will go against everything this world teaches us to think and do but we can with Jesus’ help. Those who have free access to Jesus are those who are like the children. They don’t come to Jesus for his blood. They come to Jesus to be with Him. Thanks for the post Matt. Enjoyed it. Glad it was helpful Tim! I hope you have a great day. They come to Jesus to be with Him. I mean the excitement a child has when they know their parent has come home from a long day at work and they run to the door to hug them and just … Be. When we hear Jesus speak, we hasten to Him, sit at His feet and just … Be. What a relief to be close to the Master.